Hello everyone! �I hope all is well in your life. �I still do not have my computer back but I thought I would post a little update while I had access to a computer. � The keyboard Dave ordered for Grace’s computer did not work so she is still using mine. �Oh well, the things we do for our children! We have been busy here. �The garden is doing fairly well. �We have had tons of rain though. 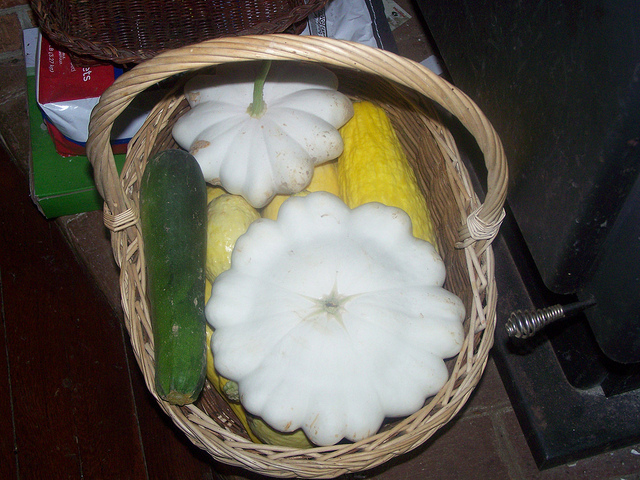 � We have been harvesting beets, cucumbers, carrots and such. �We planted a new type of beet this year. �They are called Chioggia beets or candy striped beets. �They look like this�http://www.rareseeds.com/chioggia-bassano-beet. �They are really pretty. �I will definitely be planted them again. 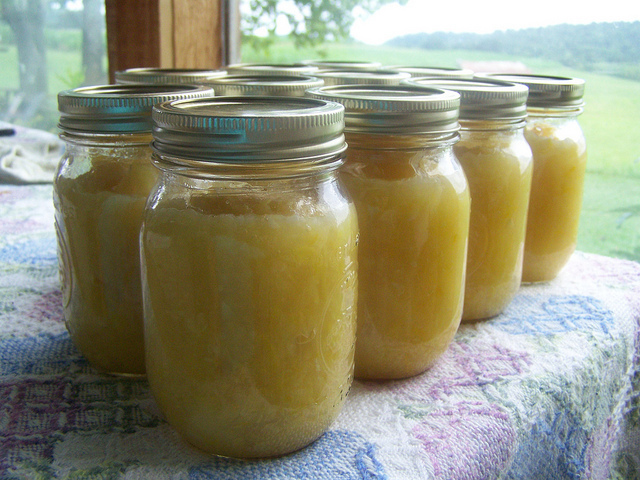 �I want to try out a new pickled beet recipe refrigerator pickled beets. 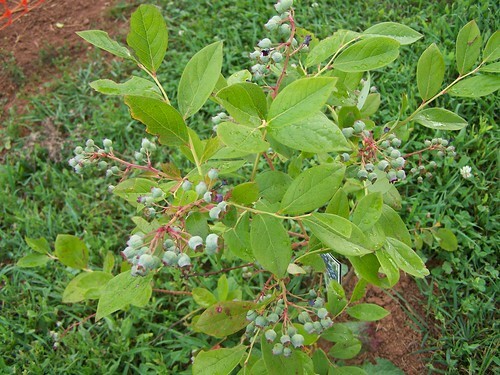 We picked blueberries last week. 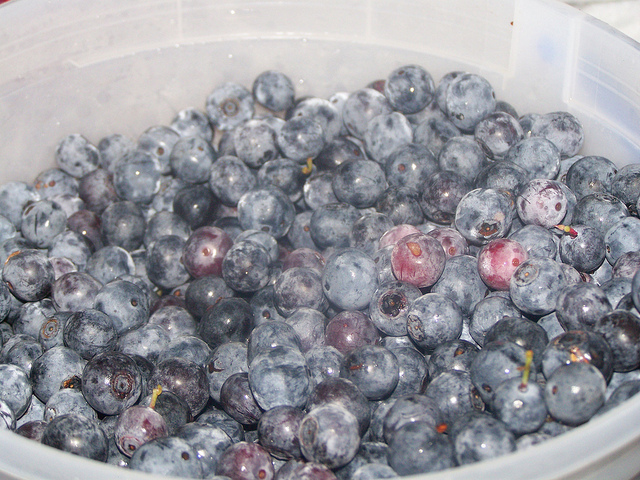 �We made blueberry freezer jam using the pomona pectin. �I really like using it. �Thanks, Cheryl, for telling me about it. � We also made homemade blueberry ice cream. � So good!!! I’m sure there is lots more going on around here but I just can’t seem to remember it all. �That’s what happens I guess when I don’t do a post for a long time. �I hope you all have a great Sunday and God bless. 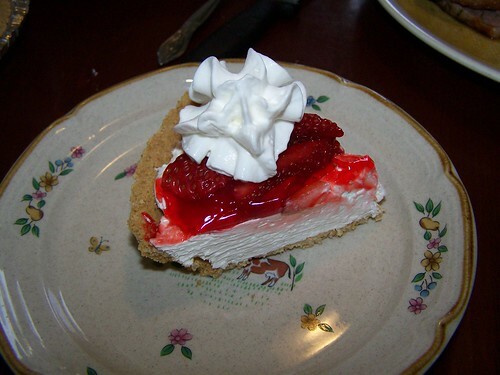 I thought I would share with you all this super easy pie recipe.� I don’t know the name of it but years ago when I worked, one of the ladies I worked with used to make this a lot.�� It uses simple ingredients and takes very little time. I hope everyone has a great Sunday and God bless. 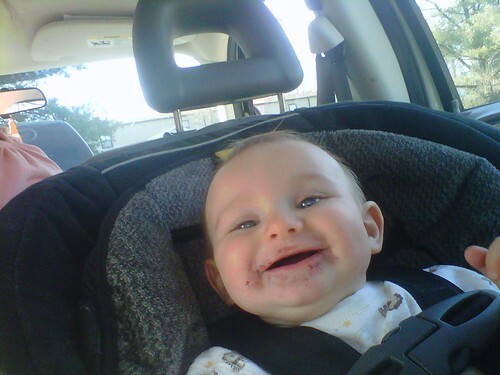 Baby Sam LOVES food.� Yesterday, he discovered blackberries.� This boy loves every type of food he has sampled so far.� Brother Daniel, however, is a totally different subject.� Whereas Sam eats and loves everything, to Daniel almost everything is YUCKY.� Jess has to disquise all the fruit he eats.� They eat a lot of “purple snack” (blueberries combined with other fruit and pureed into total smoothness).��� He can’t even suspect he is eating fruit. Today temperature is not near as nice as yesterday.� Wind chills around zero this morning when we go up.� It has warmed up some though-mid 20’s with wind chill around 10 degrees.� Needless to say, I did not hang clothes on the line outside today.� We are doing school as usual, working on history now.�� They are learning about Egypt.� Tonight’s menu is undetermined at this time.� I know, though, it will revolve around a deer roast, which is cooking on the wood stove as I type.